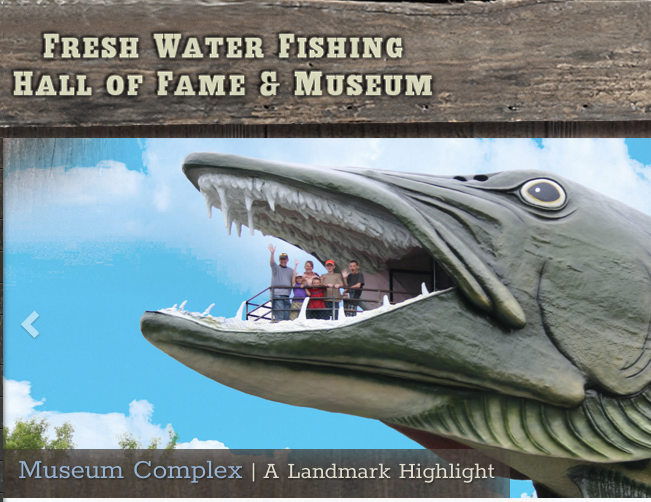 One of the many programs of the Fresh Water Fishing Hall of Fame, based in Hayward, Wisconsin, consists of recognizing individuals, organizations and institutions who have made significant and lasting contributions to the sport and heritage of freshwater fishing. The Hall of Fame Awards Committee meets annually in August to make their selections for the following year and after much deliberation there were 12 individuals and one organization inducted into the Fresh Water Fishing Hall of Fame’s 2018 year class. Dr. George Becker was a life-long resident of Wisconsin and is best known for his publication, The Fishes of Wisconsin, undoubtedly the most thoroughly researched account of the life history and ecological status of Wisconsin’s fish species. This monumental book was first published in 1983 by the University of Wisconsin Press. The 1,052-page volume covered 152 species and was the first of its kind for the state and one the first such comprehensive works in the nation. As a teacher for decades, Becker influenced hundreds of students, many who became professionally engaged in state and national careers, which promoted enhanced water quality throughout the United States, thereby leading to improved fish communities and fishing opportunities. Tony Burmek was a well-known guide in the Hayward, Wisconsin area as well as the maker of the popular ‚ “Tony Burmek Secret Bait” fishing lure. Born in 1912 Burmek began manufacturing lures in 1952 with his first creation called the Burmek Bucktail. It was in 1953 when he introduced his signature ‚ÄúSecret Bait‚Äù one of the first plastic muskie lures to hit the market. In 1955 Tony, with his brother Fred made national news for catching 42 muskies in 12 days. The total weight of their catch was just over 553 pounds. Burmek spent many hours at sport shows and in sporting goods stores promoting his guide business, his lures and the phenomenal musky fishing opportunities in the Hayward area. His classic lures are still occasionally used by anglers today, but many are now in the hands of collectors around the world. Bill Cooper was born in 1949 along the banks of the Black Bayou in the Mississippi River Delta of southeast Missouri. Cooper has experienced fishing at its finest across much of the globe. In the process he has educated and entertained countless thousands of anglers and helped them dream of those far away fishing destinations. Above all, he taught them the personal values of fishing and how to preserve the resources. As an outdoor communicator Cooper has published over 1,500 fishing articles. He has hosted television programs and been a radio show host. In 2016 Cooper was recognized on the floor of the Missouri House of Representatives for a long and productive career of promoting hunting, fishing, and outdoor recreation through his outdoor communication efforts. Gord Ellis is one of Canada’s top outdoor journalists. For over 30 years Ellis has developed a multi-faceted communication approach to introduce fishing to new, as well as veteran anglers, providing awareness for conservation. Ellis is the senior editor of Ontario Out-Of-Doors and has been with that magazine since 1993. He has a regular outdoor column in Thunder Bay, Ontario’s daily newspaper, the Chronicle Journal and is a regular contributor to Outdoor News. In addition to writing, Ellis is a reporter with CBC Radio in Thunder Bay and hosts segments on Midwest Outdoors Television. Ellis has won over 24 national writing and photography awards and has been recognized by the Ontario Ministry of Natural Resources for his work educating children and families about Canada’s outdoor pursuits. Jim Grandt has served as president of Grandt Industries, an Illinois-based outdoors equipment manufacturing, engineering and marketing firm, for 34 years.¬† The company is best known for its American-made custom fishing rods and golf clubs.¬† Grandt is also a supporter of countless conservation causes, including Ducks Unlimited, Pheasants Forever, Trout Unlimited, Salmon Unlimited, the Illinois Conservation Foundation, and Safari Club International, with an emphasis on programs for promoting youth involvement in conservation and the outdoors. Grandt was honored with admission to the Illinois Conservation Hall of Fame in 2016 and the Illinois Conservation Foundation presented Grandt with their Youth Conservation Award in 2015 as recognition for his leadership in youth activities. Arne Juul was a founding member of the Hayward, Wisconsin Area’s, Guide Service, Inc., who worked primarily at Ross‚Äô Teal Lake Lodge and Scheer’s Ghost Lake Lodge. He was one of the old-time guides who were experts at preparing shore lunches. ¬†While Juul fished many of the areas lakes, he spent most of his time on Teal, Lost Land, Ghost and the West Fork of the Chippewa River. Juul was one of the few Hayward guides who occasionally fished Lake Superior and its Chequamegon Bay, if his guests wanted to venture further away. Juul had guests who fished with him for many years. Loyal repeat clients are one of the hallmarks of a quality professional guide. ¬†He was a fascinating story teller, who also had a reputation for being among the first to try new technologies and new fishing techniques. Pat Neu, of Wisconsin, is not only a championship tournament winner, he is a linchpin in the sport fishing world. Neu not only runs the National Professional Anglers Association, he is the originator of the Future Angler Foundation, a non-profit corporation formed to support other non-profit organization’s efforts to grow the sport of fishing through education and outreach. Neu has been a strategic part of the success of Anglers Insight Marketing, an angler owned tournament organization that introduced Catch-Record-Release scoring to the tournament world by leveraging technology to help protect the resource and create a level playing field for tournament anglers. From media and marketing, seminars to in-store promotions, as well as speaking to fishing clubs and competing on a professional level, Neu has remained faithful to his goals of promoting fishing to all levels of anglers and educating anglers to respect the resources.Annie Orth, based in Minnesota, joined the Gapen Tackle Company 30 years ago as a sales assistant at sport shows to promote the company’s European-style floats and earned the trademark name, Bobber Anne. Today she can still be found at major sport shows pitching not only the floats, but all of the products Gapen’s manufactures. She also knows how to use this equipment having achieved a world record for Cubera Snapper, having landed a 243-pound tarpon as well as several 50-pound plus lake trout. There isn’t a North American freshwater species she hasn’t caught, from the alligator gar to the mighty chinook salmon. In all she has taken in excess of 50 species of North American fish. Over the years Bobber Anne has given countless seminars, has appeared on numerous television segments, has been featured in DVDs, books and articles and has published her own books and written for many publications across the United States. Dave Precht, of Florida, began his career as an outdoor journalist in high school when he won the Quill & Scroll national journalism award for writing a newspaper article on fishing. Shortly thereafter he began writing an outdoor column for the Houston Post and freelancing for Bassmaster and other magazines. After serving as editor for Southern Outdoors Magazine, Precht replaced Bob Cobb as editor of Bassmaster Magazine in 1984. During his 19 years as the Bassmaster editor Precht used the magazine to promote boating safety, youth fishing, conservation, sportfishing ethics and bass fishing as a family activity. Currently Precht serves as Editor-in Chief of Bassmaster as well as Senior Director of Bass Publications. He is on the Communications Committee of the American Sportfishing Association and is on the Board of Directors for the Bass Fishing Hall of Fame. During his career Precht has covered every Bassmaster Classic since 1978. Jerry Ross has been a Hayward, Wisconsin area fishing guide for more than 50 years without missing a single season. While he takes clients primarily on the Chippewa Flowage, he routinely fishes other area lakes as well. Ross began guiding in 1963 while still in high school in the era when resorts in the region were extremely busy and frequented by business executives who would entertain their major clients with several days of fishing. One of the best indicators of a guide‚Äôs quality and skills are in their repeat clientele. This is one area where Ross‚Äôs record is unsurpassed. He now guides second and third generation anglers, descendants of his original clients who come to the Hayward area just to fish with Ross. There are but a few who have attained the level of Ross as a guide, and while he could seek notoriety, he remains humble and continues to provide an outstanding experience for his clients. Mike Schoonveld was more than just a little bit interested when salmon were first stocked in Lake Michigan (near his home state of Indiana) in the late 1960’s, so he learned everything he could about salmon fishing and bought a Great Lakes boat. In 1986 he started his freelance outdoor writing career and wrote for Great Lakes Fisherman, Midwest Outdoors, Great Lakes Angler, Outdoor Notebook and many more. Over the years Schoonveld has had credits in over 40 publications and has written thousands of articles that have helped millions of readers discover their own love of fishing. In 1998 Schoonveld became a licensed charter boat captain and started Brother Nature Fishing Adventures, guiding hundreds of anglers on Lake Michigan to some of the finest fishing they have ever experienced. Schoonveld has been active as a board member of the Association of Great Lakes Outdoor Writers and has been President and Chairman of the Board of that organization. Jim Thomas had one of the most popular outdoor television shows in the 1960’s called, Jim Thomas Outdoors. Thomas’s show was broadcast on WCPO in Cincinnati, Ohio and later on WGN in Chicago, Illinois. His programs, which covered both fishing and hunting, were filmed as feature-length productions and then later edited for television. These productions were unlike the educational style format of today’s television programs. Thomas created shows that were full of thrill-seeking excitement. Jim Thomas Outdoors was the gold standard of outdoor television broadcasting throughout the 1960’s and 1970’s in the upper Midwest. National Fishing Lure Collector’s Club (NFLCC) is a non-profit, educational, international organization founded in 1976. The primary mission of the NFLCC is to promote the awareness of tackle collecting as a hobby; the preservation of vintage and collectible tackle information, history, and artifacts; to provide appropriate services, support information, and related activities to the NFLCC membership in pursuit of tackle collecting. The NFLCC encompasses every aspect of collecting fishing-related tackle and ephemera (i.e. Reels, rods, catalogs, advertising, minnow traps and buckets, creels, photos, etc. ), not just fishing lures. Today’s NFLCC is committed to excellence in providing the tools and resources to enhance the overall quality of the collecting experience for their members. The NFLCC has established itself as the premier organization for the vintage fishing tackle collector.